Another instalment in my photos from ten years ago series – this time it is October 2007. We start at Southern Cross Station. When initially completed the concourses at the station were wide open spaces, unadulterated by congestion causing commercial outlets. A more positive change occurred at Flinders Street Station, where the aging CRT next train displays replaced by easier to read LCD panels. If only the screens were used to their full advantage, with the careful use of colour. Craigieburn station where the first electric train arrived on Sunday, 30th September 2007. Originally the entire station was to be rebuilt with four platforms with access via a pedestrian underpass, but the scope was cut back – only the platform on the ‘town’ side of the station was rebuilt for suburban services, leaving the gravel surfaced platform 1 untouched. 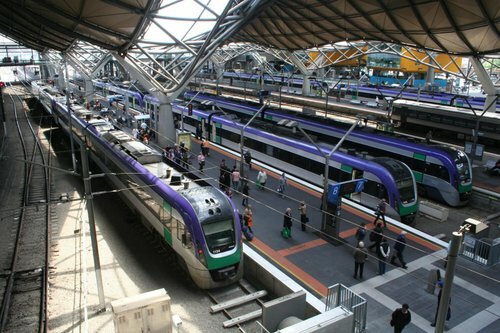 This caused delays for V/Line services to Seymour, Shepparton and Albury, until additional upgrades were completed at the station in 2009. 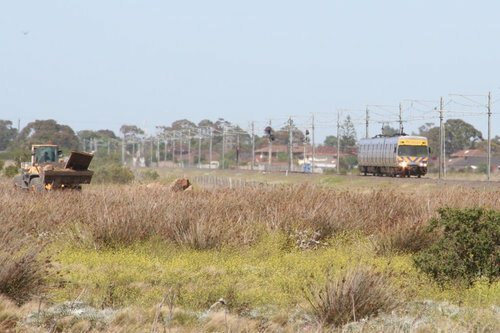 A decade ago Werribee trains outside of peak hour were half sized – only 3-cars long. 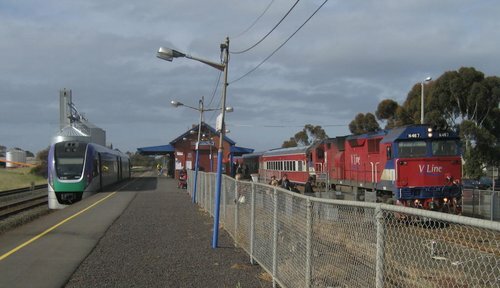 Geelong trains were also shorter, with 2-car VLocity trains a common sight. But change was on the way, with a station upgrade about to start at Lara. Original a tiny brick building, with ticket office only open in the morning, and a waiting room smaller than a phone box, in 2007 work on an extension commenced. The current building was then gutted and extended to the south, to create a bigger waiting room and ticket office, a small kiosk, and upgraded toilets, along with verandas all around. 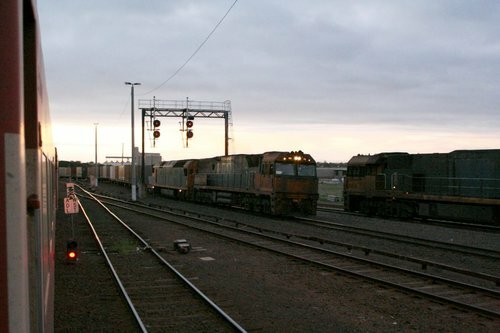 A far more unusual train was the one I caught to Geelong one evening, after the normal route via Spotswood was blocked. We were diverted onto the goods lines beneath Footscray station. Them west towards Sunshine at 15 km/h. Only to halt to let a freight train pass, before we headed south towards Newport. 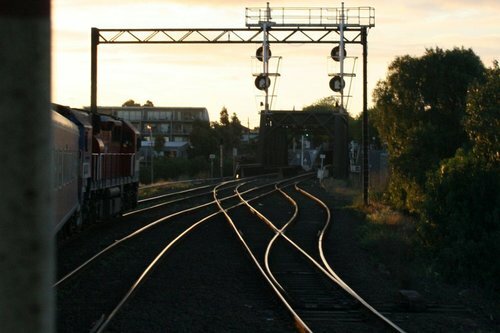 This move was made possible by the various alternate rail routes that exist across Victoria. 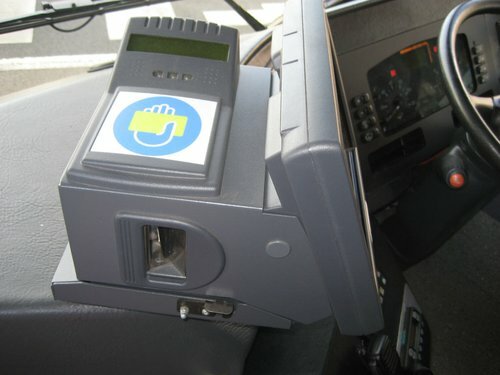 In Geelong I sighted a test installation of Myki equipment onboard a McHarry’s bus. 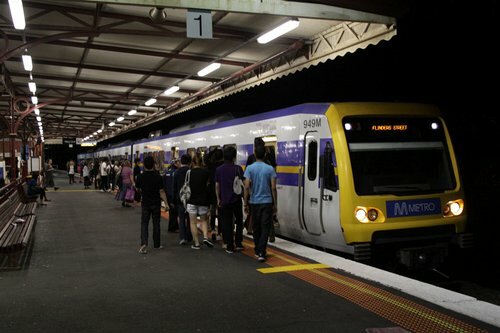 The first active stage for Myki in Geelong involved a pilot trial of 5 McHarry’s buses over three routes between 30 April and 23 May 2008 and was purely a technical/scenario test involving Kamco, TTA and McHarry’s staff. Back in Melbourne I also why the Metcard system was being replaced – each machine features a complicated series of belts and chutes for dispensing tickets. 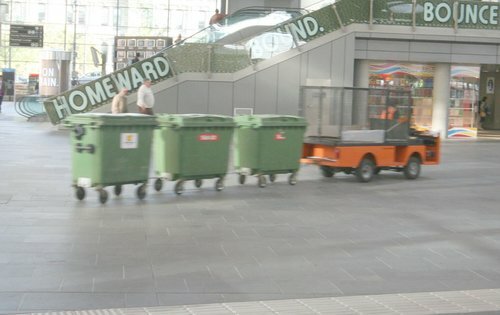 Metcard machines were eventually removed from Melbourne railway stations from January 2012, the last being removed during the week of 23–27 July. 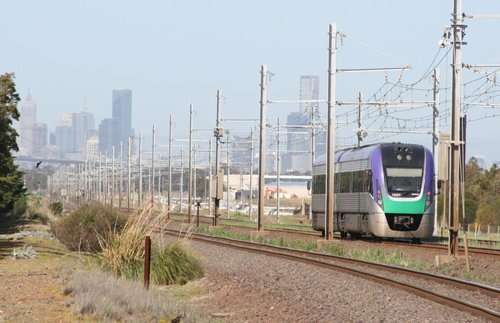 How often do electric three car sets run now? 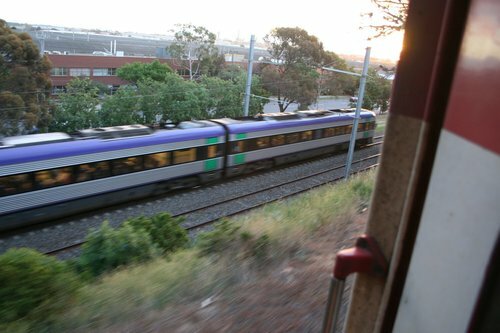 I am pretty sure that I saw a three car set heading to Blackburn about a month ago at Flinders St. I had to look twice but I cant find any up to date information on them. Thanks for that. From reading your blog and Daniel Bowens I got the impression that three car sets weren’t used at all anymore. The really annoying thing about when the run the 3-car Alamein trains into the city in the afternoon and evening is when they then run the nearest Belgrave/Lilydale service express through Glenferrie, past all the waiting passengers (mostly Swinburne students and staff on their way home) who then have wait to cram into the 3-car Alamein (which stops all stations).